Zetaboards Conversion Complete - and some new things! Welcome to the new, improved Gang of Five forum! You will find that some things are slightly different with your profiles. Take a moment to look around and figure out all the features. Furthermore, to keep the GOF an active, friendly place for LBT fans, we've made some changes at the top, quite literally. Your current admin staff have red usernames. They are rhombus, Nick22, and zero-point. zero-point joins the staff as lead forum designer and manager of code as zetaboards requires a different code set than the older invision power boards. Inactive administrators still have admin powers, but should not be contacted for immediate issues with the board. They are part of the Circle of administrators, have a light blue color, and admin badge. They should continue to be respected as honored leaders of the GOF whenever they come online to post. 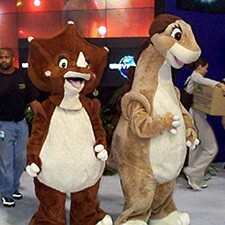 These members are Malte279, Littlefoot1616, and Mumbling. Currently, two moderators are still part of the GOF, and have powers to moderate all sections of the board. These members are Kor and the Great Valley Guardian. I remain a consultant to rhombus and Nick as necessary, but am not part of the active administrative team, thus I do not have a red badge. As for forums, everything appears to have transferred smoothly. Still, some changes have been made. The Rock Circle has been renamed "Forum Issues" and is now simply a section to discuss current happenings on the board, or to pose a question to the staff about the GOF. The voting process that used to be part of the Rock Circle section as part of the decision making process has been disbanded permanently. This will no longer be happening. Administration will continue to work together to make decisions, but it will be no more complicated than that. I thank you all for your patience and thoughts, as we were given no choice on the matter of upgrading our board system, and chose the option we felt would give us the smoothest transition possible. In time, I believe you will find that zetaboards will work just as well as our old invision system, and the upgraded changes should keep spambots out. Edit: This floating NULL on the main page was hypnotizing me at the very first seconds I entered new forum. Edit: On the first look, everything is working just perfect! Well done, members of rock Circle! Thank you for our new old home. Thank you a lot for your great job rhombus, zero-point and Petrie! It seems like transfer is smooth enough and the new features look rather promising! I'd like to express my further congratulations to zero-point for his new status which was well-earned with getting the new forum to work! It'll take a bit of getting used to but at first glance, the new GoF seems pretty cool! The updated forum looks awesome! Of course some things are located in slightly different positions, but I'll get used to it. I mean it'll be better than the last forum once I get into the habit of seeing the new design. I must say that the new post icon is pretty cool. 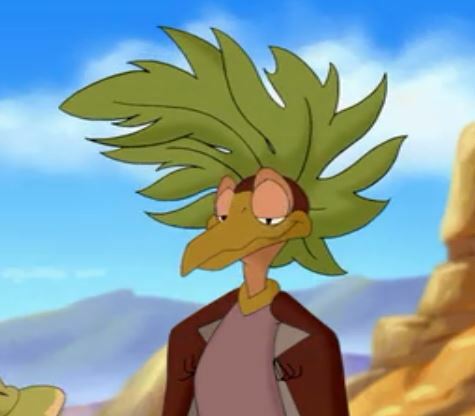 Like I mentioned before, the test forum's happy Littlefoot looked a little weird, so I'm glad Petrie is used instead. I'll get onto updating the GoF link on the home page of the LBT wiki very soon. And also, congratulations to zero-point! I can't believe you're an administrator this early!!! It brings me back to the day when I was promoted to Bureaucrat and Admin on the LBT wiki, and I hadn't even been active on it for very much time at all. Man that was some rather good timing with the update. Seems like everything just got ironed out before it happened. Thanks again for all the work put into ensuring a smooth transfer rhombus and zero-point! Also, congratulations on your promotion zero-point! You da best! I know, right? the timing couldn't have been better! Looking good, guys! I'm liking the new/old layout! It's a little getting used to, but it looks great. Good job on the transfer, and congrats to Zero-Point, for being our first IT guy! Thank you very much, everyone. The honour is mine. Oh my, I didn't even noticed! Well, this is gonna take some getting used to but good job guys! Looking good, keep it up folks! Thank you all for the positive response and feedback to our forum changes. It will take some getting used to of course, but it will become the new normal in due time. I feel better about getting this change out of the way since its been "on the table" for about three years now to do. Hopefully switching to zetaboards prevents any tapatalk stuff from taking charge. Thanks to all involved in making this new look, it’s very nice!